Independent Marine Surveyors Inc. has been in the marine surveying business since 1986. Originally founded by Steve Berlin and Richard Cain, the company has been owned and operated by Steve Berlin since 1989. Steve is an active member of The Society of Accredited Marine Surveyors since 1989 and has been an Accredited Marine Surveyor (#309) since 1994. 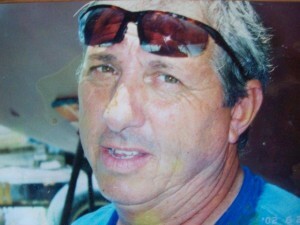 He is a respected member of the local marine industry on the west coast of Florida. Steve has over 40 years of experience in the marine industry. He is a third generation commercial fisherman who grew up working in his family’s fishing business in New York. The family moved into the boat building business in the 1970s, building molded, fiberglass fishing vessels out of Panama City, Florida. The vessels built during this venture were built as passenger-carrying vessels, all finished as United States Coast Guard certified vessels. After leaving the family business in 1980, Steve spent 5 years working on the West Coast of Vancouver Island in British Columbia as a safety coordinator for Western Forest Products at their Port Alice Dry Land Sort Division. When Steve left British Columbia and returned to Ft. Myers, he met up with an old friend Richard Cain, who together founded the company.